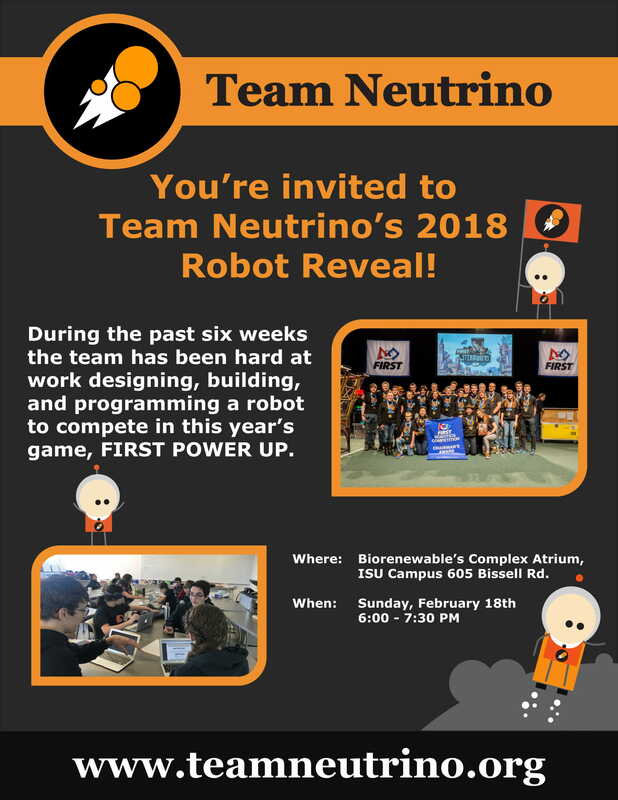 Team Neutrino has been working hard over the past couple weeks to complete a robot to compete in FIRST’s 2018 PowerUp game. 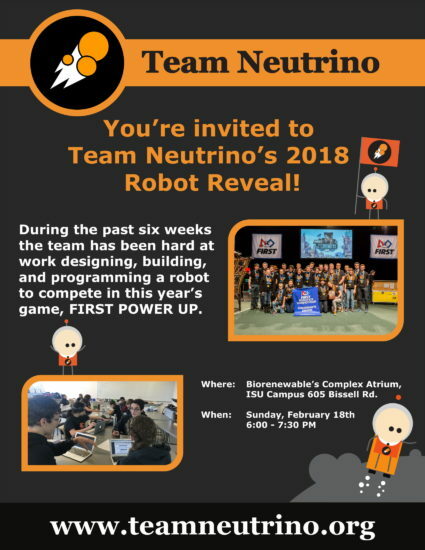 Although there were some large challenges that needed to be overcome, the team persevered, and would like you to see this year’s robot! The event will be at the Biorenewable’s Complex Atrium, ISU Campus 605 Bissell Rd this Sunday, February 18th from 6:00PM-7:30PM. Everyone is welcome, and we hope to see you there!